Fine Decorative Wooden Watch Available In Different Sizes. please share your requirements for Sandalwood Watches only. Packing : As Per Reqd. Tsarina I Wrist Watch is made up of Koa-wood. Sourced from Hawaii (USA), Koa-wood in its feminine aspect brings a fiery energy with creativity, beauty, and wisdom and strength. Butterfly clasp adds to the elegant style of the watch. VA- 021 Black Wooden Watch + pen set. 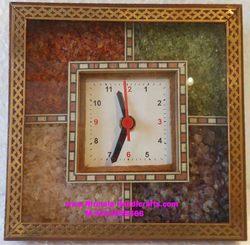 We are offering a wide range of Wooden Clock. Offered in various patterns and designs. In this range, clock is enclosed in elegant wooden frames. All these wooden frame is available with different carvings and wood working. 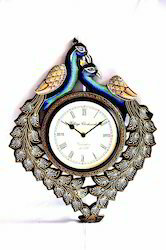 This clock is also available as per client requirements.